In 2016, our team worked on a series of small virtual reality prototypes in collaboration with Ryerson RE/Lab, supported by the Ontario Media Development Corporation and Ontario Centres for Excellence. 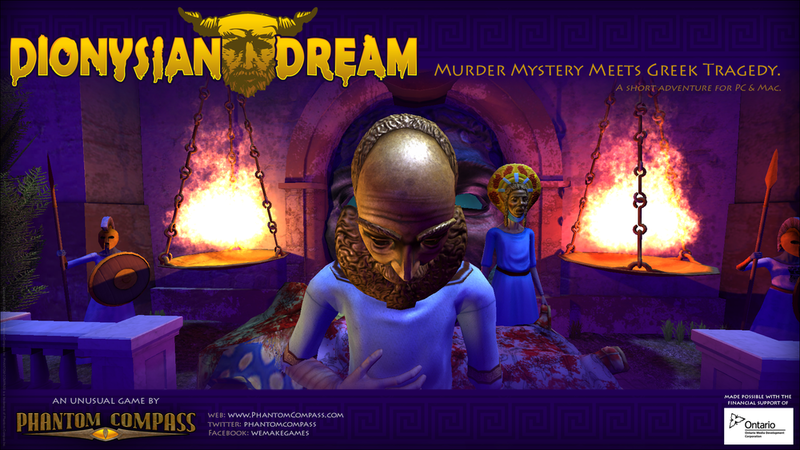 Phantom Compass developed new processes and workflows in translating portions of the 2013 unreleased game Dionysian Dream to the Samsung Gear VR hardware. 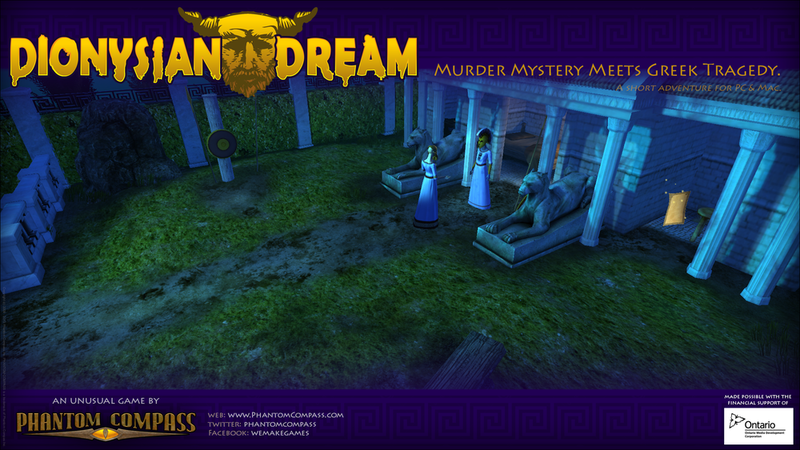 Murder mystery meets Greek tragedy. History takes a fantastic turn in this short point-and-click adventure game based on the classical Greek tragedy "The Bacchae." You arrive in a strange dream-world only to find King Pentheus has been killed. 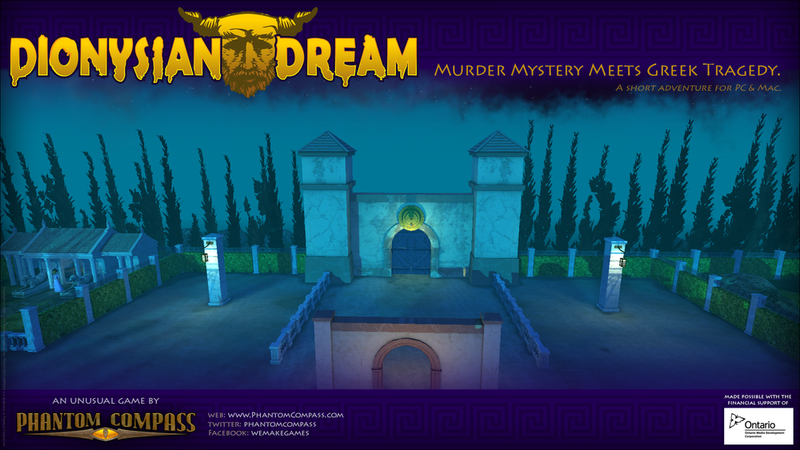 To escape this nightmarish place you'll become Inspector Euripides and unravel the events leading up to his death. A production of Phantom Compass with financial support from the Ontario Media Development Corporation.